Untangling the issues of child support is probably the final and one of the most complex things to handle during a divorce. One of the essential factors that needs to be decided when filing for a divorce is the amount of child support. Generally, the non-custodial parent needs to pay the child support. However, in the absence of child support lawyers, the couples seeking a divorce may find themselves unaware of the intricacies involved in their cases, which leads to confusions and disagreements. Therefore, to clear the smokescreen, in this blog post, we answer 7 frequently asked questions about the calculation and payment of child support. Read on. 1. Who decides the child support amount? The judge presiding the case holds the right to decide the amount of child support. To ensure the amount of child support can fulfill the needs of the child, there are guidelines in Texas Laws that a divorced couple needs to follow. These guidelines are assumed to be in the best interest of the child and help ensure there is no disparity in the calculation and payment of child support. The guidelines of child support are strongly enforced and parents need to pay the amount of child support as a fixed percentage of their monthly income. 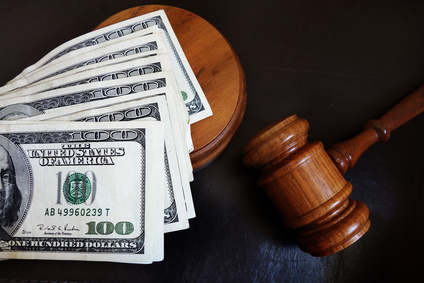 When a Texas court says “income”, it takes into account all the money tapping sources including the monthly wages; barring a few deductions such as social security, medical insurance, and federal income tax. 2. How is the amount of child support calculated? Not less than 40 percent of net income for 6 or more children. Note: Irrespective of the above slab, the court may reduce the amount of child support if the obligor is bound to support another child living in a different home. 3. What is imputed income? Imputed income is a crucial factor taken into consideration during child support calculations, if the court is unable to clearly determine the income of a parent. Texas courts follow a standard practice to impute income and consider the earning potential of the parent to determine child support calculations. Before imputing the income, the court checks whether the parent is willfully unemployed or underemployed. If the court feels that there is a valid reason for unemployment or underemployment, it waives off imputing and bases the child support on the actual income. If a parent loses their job, they are entitled to get a concession in child support; however, the imputing factor will still be applicable. 4. What is a back child support? Child support orders are enforced by state courts, whether it is Texas or any other state in the US. A parent who is ordered by the court to pay the child support owes periodic payments to support the living needs of the child/children. In case an obligor is unable to make regular payments, they are considered to be in debt and need to pay “back child support” that includes the standing arrear, interest amount, and levied taxes. 5. What if an obligor is unable to pay? 6. Can an obligor request a change in the support amount? Yes, an obligor may request for a change in the payment amount. The amount of child support can be changed if the obligor proves that their financial condition has declined since the last child support order was passed, and that they can no longer afford the payments. The court reserves the right to modify the payment period, or may provide a concession for a period, or both. In all cases, however, it is advisable to hire child support lawyers to present the case. 7. Can a couple finalize their agreement? Yes, a couple can decide the terms of child support agreement with the assistance of a child support lawyer. The court, however, has the ultimate authority to decide whether the terms in the agreement are aligned with the interests of the child. If the court finds that the agreement is not aligned with the child’s interest, it may ask the couple to submit a revised order for reconsideration, or may issue its own child support order. Going through a child support battle is definitely not a pleasant experience, but it doesn’t have to be overwhelming. Trying to dispose off the issues regarding child custody and support mutually without seeking advice from child support lawyers may make the process more difficult and time consuming. If you need the help of a child support lawyer, get in touch with 123 Custody Company. Our team of family law attorneys have extensive experience in helping couples with child custody agreements. Let us know your concerns by filling out our contact form or giving us a call at 214.599.9979. Your first consultation with an experienced,aggressive, affordable divorce & family lawyer is free.